Capones Island not just for divers and surfers. Capones Island is just off the coast of Zambales and it is a real jewel. Surrounded by azure waters and attracting both scuba divers and surfer's alike. Capones Island does not have any infrastructure, no resorts, no hotels, no shops, just you and the beauty of Capones Island, hopefully it will stay this way. I did notice that the visitors to Capones Island appear to be keen on leaving there rubbish there for all to enjoy, I don't understand why people cannot take there rubbish away with them, a futile hope I guess. Keen surfers to the Zambales coast, often head out to the island in search of the dream, you know the one all surfers strive for, perfect waves with no crowds. 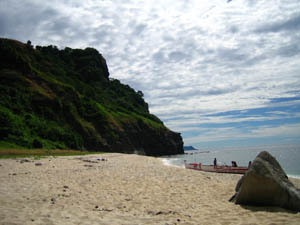 Capones Island is in the Province of Zambales and is about 4 kilometers from the seaside village of Pundaquit. It is here at Pundaquit that you can negotiate with a boatman to take you out to either Capones Island or both Capones and Camera Island. The banca trip out to the islands takes about half an hour and can get quite rough, but it is all part of the adventure, you may get a little or maybe a lot wet, but your waterproof right? If you want to stay overnight on Capones Island you will need to take all your equipment with you, including food, tents and water, as you will not find any of it on the island. The beach is a moveable one, I have been told that it moves from the north to the south of the island and back again depending on the prevailing sea and wind. So don't be confused if you see photos with the beach looking different. 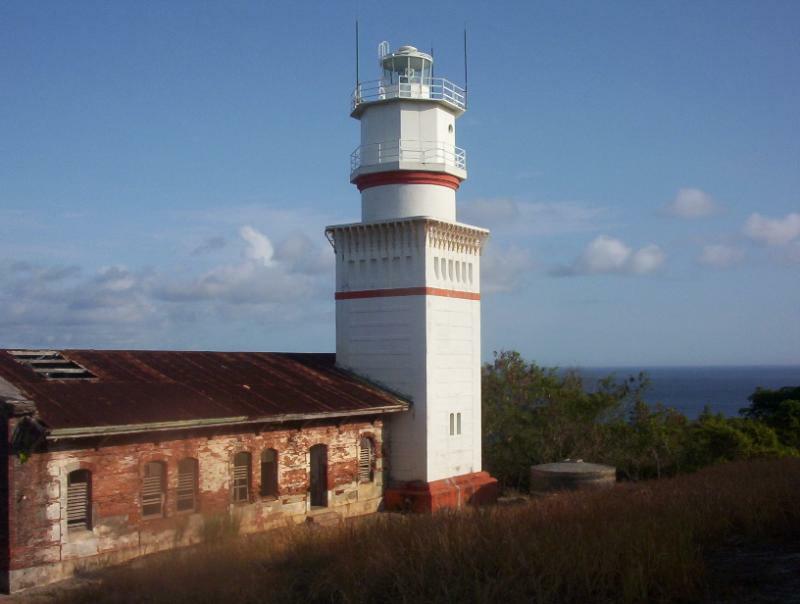 The light from the Faro de Punta Capones, or Capones Island Lighthouse, has been used for more than a century to search for and guide ships into Subic and Manila Bays. The west coast of Manila has regular runs of shipping heading to and from the Philippines northern neighbours. Now days the lighthouse is in need of some tender loving care, the caretakers house which forms part of the lighthouse structure looks very decrepit and in urgent need of repairs. The light is powered by the sun, with solar cells in charge of ensuring safe passage to passing ships. If you get out to Capones Island make the effort and climb to the Lighthouse, I know it is a bit of a hike from the beach, but boy is it worth it. If you are heading from Manila you travel north to Olongapo City, make sure you bypass Olongapo and go through the Subic Bay Freeport which is part of the Subic Bay Metropolitan Authority (SMBA). You will skirt the inside of Subic Bay passing through the towns of Barrio Barretto and Subic and continue until you reach San Antonio. San Antonio is roughly an hour out of Subic Bay. From San Antonio you will need to get to the coastal village of Pundaquit, which in direction is south west of San Antonio and a bit under 5km. It is here at Pundaquit that you can organise for a banca to take you to Capones Island. If you are catching a bus from Manila, you catch the one that goes to Iba in Zambales, just make sure you get off at San Antonio. From San Antonio you can get either a jeepney or a trike, which are plentiful to take you to Pundaquit. There is accommodation at Pundaquit, which is the closest to Capones Island and Camera Island. for other surfing spots in the Philippines, have a look here.